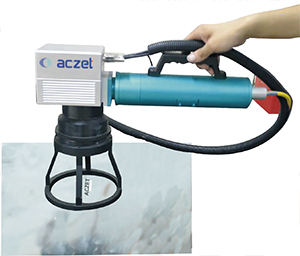 The Open LASER Marker is also equipped with optional rotary axis device which facilitates LASER Markings on curved surfaces such as the inner or the outer face of cylindrical or curved objects. The "Open" LASER Marker is able to meet the highest standards of quality set by the most renowned Industries. It is perfect for engraving all types of precious and semi-precious metals, steel, titanium and many other materials, metallic and some non- metallic items. 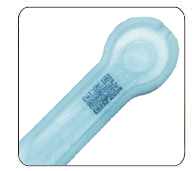 Ytterbium Fiber Marking Product codes, production information, batch/lot information, QR Code, Company Logo, etc with Aczet Laser Marking. 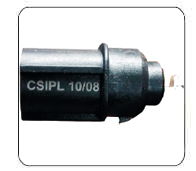 High-precision marking at constant quality. 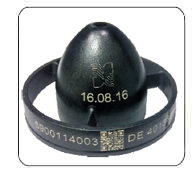 Reliable industrial design for large parts/equipment marking applications; providing mobility and handheld positioning of the laser marking on bigger components. 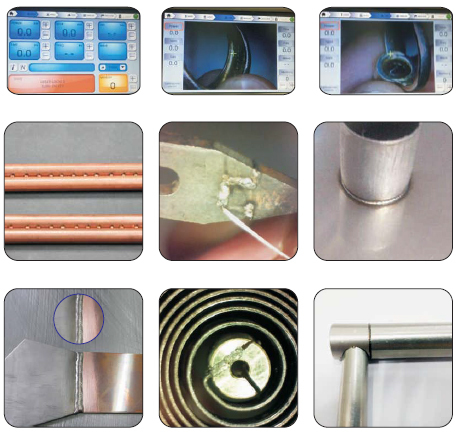 The Principal of Laser welding machine for Industrial is thermal conduction, namely, the laser radiates the surface of the part, and the heat on the surface expands ins ide through heat conduction. 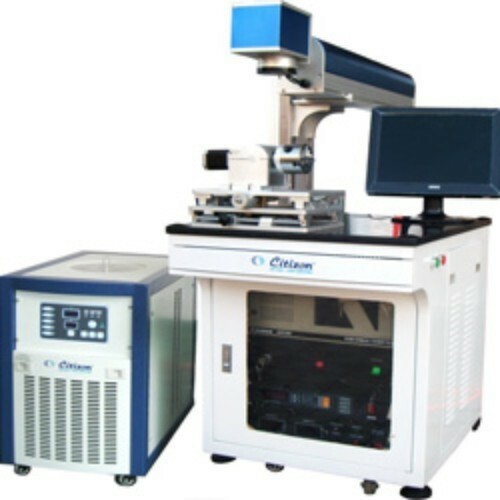 By controlling parameters such as laser pulse width, energy, peak value and repeating frequency, the sample will melt, and thus forming specific molten pools. 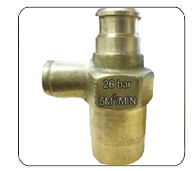 Due to its unique benefit, the product has been successfully applied to precious metals Industrial processing, and welding of small-sized parts and porosity filling. Personalized design for hassle free operat ion in compl iance wi th ergonomics principles. 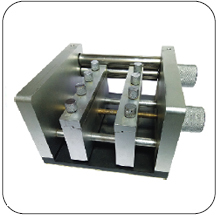 Sturdy Frame Structure For lowest vibration makes it, ideal for factory use & trouble free operation. New Touch Screen display for easy operation. Upto 10 memories cells for storing working parameters permanently. Big Inside chamber for easy movement of big samples. The new digital microprocessor incorporated in the FoRza works 100 times faster than traditional systems. and is able to measure the high energy precisely, analysing it and sampling it every 100 micro seconds. This makes welder FoRza a powerful machine while at the same time constant and very precise in the repetition of the shots. Easily weld precious metals and other, including platinum, titanium, silver and palladium. Repairs molding without removing the stones. 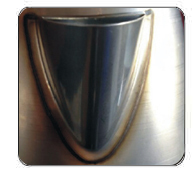 Welds the elements using weld materials, and leaves them clear, sharp and without the need to clean again. 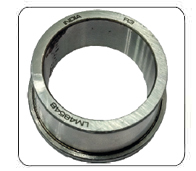 Repairs casting defects such as porosity or breakages. by simply welding those areas with solder wire. Real time and automatic regulations of the power supply. Double light LCD Touch Screen Shutter. 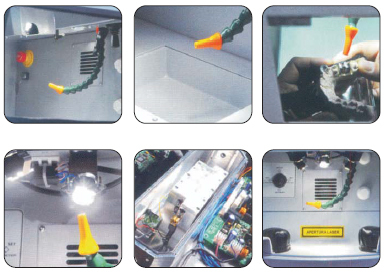 Automatic control of the laser lamp, with consequent automatic adjustment of the energy. Better cooling chamber & Efficient air cooling system. From the need to repair worn molds directly in his workshop in quickly and economically, brings our company to design a simple and very powerful that can also work on large molds (1000x100mm). The optical fiber in fact carries the laser light from the generator to the mold, and is supported by a mechanical arm that moves it to "zero weight" thus permitting the operator to manually position and guiding it with ease along the edges tobe repaired. The high power (200 Joules) allows to bring chopsticks wire 1mm in diameter but also lowering the power can be finished very small areas of mold very large and expensive. 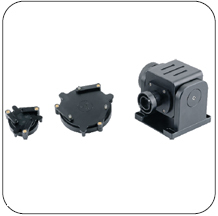 Electronic and optical components of foRza 200, is of highest quality standards and guarantee high animating cycles of work, visual quality and excellent reliability. 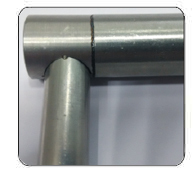 Repair of large molds (up 1000 x 1000mm) Carryover of steel stirrers directly on edges ruined Salda elements using filler materials, and leaves them clear, sharp and no need to clean up. 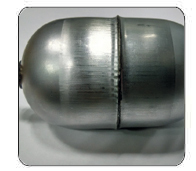 Repair errors or design of molds. 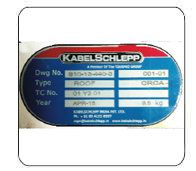 Repairing casting defects such as porosity or fractures, simply by welding in those areas of the filler wire. 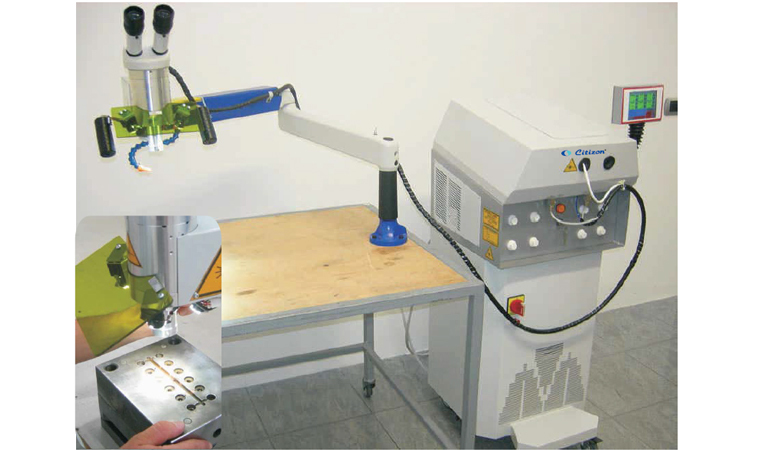 The laser head is moved by a mechanical arm manual. The operator can adjust the position of the focus manually with extreme precision. LCD shutter dual brightness Discharge rate 40 Hz Automatic calculation of 'worn lamps laser resulting in automatic adaptation of' energy set. 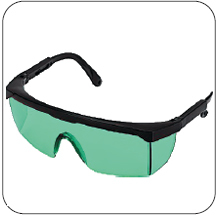 Based on CO2 Lasers which is highly reliable laser source which used in many industries. 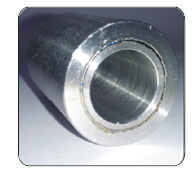 The cut quality of a CO2 laser remains constant throughout all ranges of material thickness. 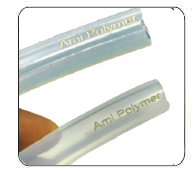 Mainly used to cut engrave many kinds of non-metal materials, such as Acrylic, Wood, Bamboo products, Cloth, Plastic, Marble, Glasses, PVC, etc. CO2 laser cutter can process the Plexiglas products, acrylic display panel lenses, wood carving, wood percutaneous flowers, advertising products, crystal characters, packing boxes, models, toys, furniture and so on. 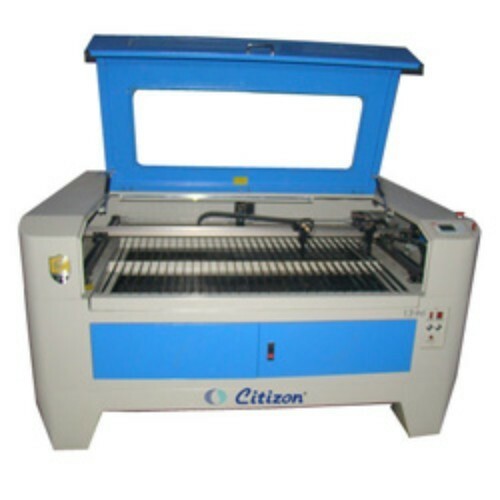 Co2 lasers also have the capability of cutting wood and acrylics, thereby providing greater flexibility to niche industries where the need to cut these materials is a necessity.. 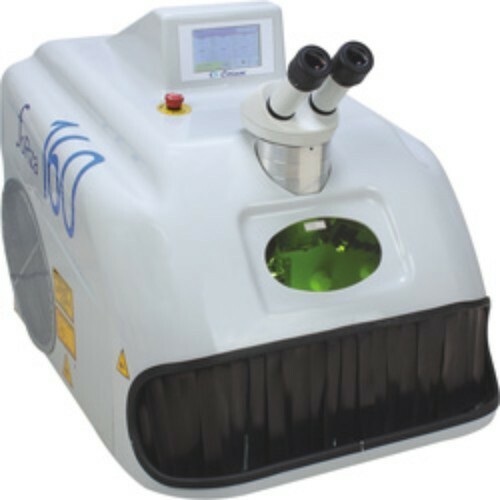 The low cost and minimal maintenance requirements of low-power CO2 lasers make them appealing to many manufacturers plus, they offer users the benefits of small size, rugged construction. Sturdy frame structure for lowest vibration, standard industrial PC for trouble free operation makes it ideal for continues operation like Hallmarking Centers Factories. WINDOWS based marking software. able to read CORELDRAW, AUTOCAD, PHOTOSHOP and other commonly used graphic files, such as AI, PLT, BMP, JPEG. 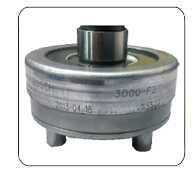 Optional Motorised Rotary Marking Device for accurate Continuous 360ºMarking in / outside Bangle Rings. 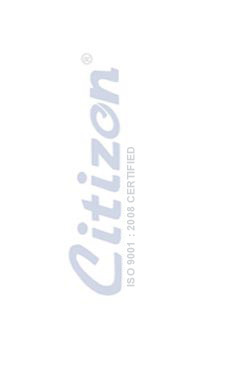 CLDP 50E is Most economical laser marking machine yet best in performance. 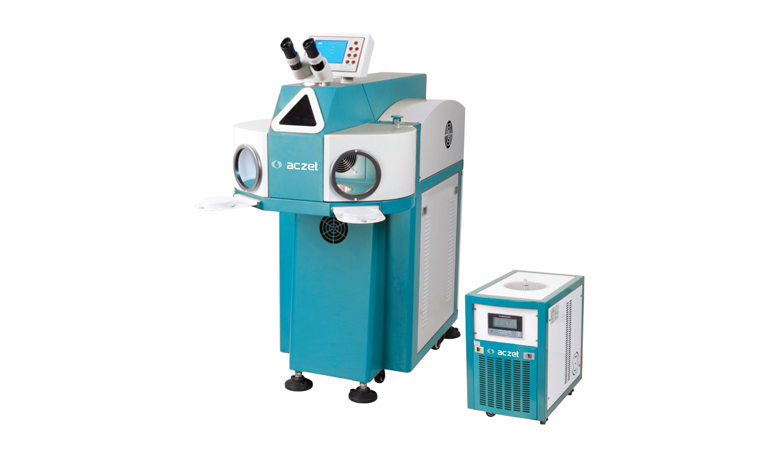 Based on ND-YAG diode pump laser technology. Auto Height Adjustment makes this machine most convenient for the difference samples of size shape. 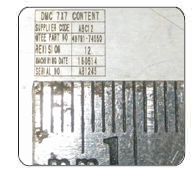 Able to mark all metals and some nonmarking engraving. 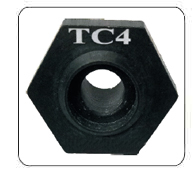 Support for auto-coding, serial number, batch number, date, bar code and two-dimensional codes.